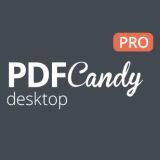 PDF Candy Desktop hepsi bir arada güçlü bir PDF programıdır. PDF Candy Desktop hepsi bir arada güçlü bir PDF programıdır. PDF den Word , JPG, PNG, TIFF, BMP, DOCX, RTF, dosyalarına dönüştürme yapar. Word, JPG, HTML, ePub, MOBI, FB2, PPT, Excel, ODT, PNG, TIFF, BMP, DOCX, RTF gibi dosyaları da PDF e dönüştürebilmektedir. Düzenleme yapmanızı da mümkün kılar. Icecream Screen Recorder is a screen recording software that supports game capture, video recording with system audio and microphone and screenshots taking. The videos can be trimmed, converted and uploaded to YouTube, Google Drive and Dropbox. 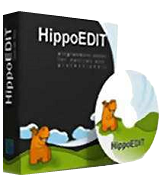 The addition of various graphic elements and text will make the created files move vivid. Icecream Slideshow Maker is an easy in use slideshow video creator. Add images, set transition effects and time, add text to images, add audio files to create video slideshows. Upload the videos to YouTube, Google Drive, Dropbox and burn DVD disks right from the program's window. 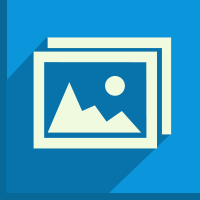 Select the needed video resolution and add folders with images in a bulk. Been using Foxit PDF Reader for years after giving up on Adobe intrusive 'updates' every other day. It's free, has been around for many years, and has a good rep.
Been using Foxit PDF Reader for years after giving up on Adobe intrusive 'updates' every other day. It's free, has been around for many years, and has a good rep. Did I mention it's free? jj juice: in discussing the merits of an orange, it's not particularly useful to extol the virtues of an apple. The two are not the same. Your seeming confusion over the difference between a PDF reader app and a comprehensive PDF management program unfortunately helps no-one. David: I dunno. It may've had something to do with the fact that I see no reason to repeat a developer's blurb on a GOTD page (in this instance, its claim to be able to edit metadata.) It may also have had something to do with its claim to be able to transcode PDF to Word and RTF, within which formats editing is perfectly usual? David: I dunno. It may've had something to do with the fact that I see no reason to repeat a developer's blurb on a GOTD page (in this instance, its claim to be able to <b>edit</b> metadata.) It may also have had something to do with its claim to be able to transcode PDF to Word and RTF, within which formats <b>editing</b> is perfectly usual? Downloaded and installed fine. No problems. Win 10 64 bit. Those having problems with install, try tuning of antivirus while installing, GAOTD software contains "Wrapper" that can sometimes be misread by some antivirus progs. Bob, its not that the wrapper is misread - its that the file is heavily encrypted. This isn't normal, and is a tactic used by malware. As the antivirus can't properly check the .exe, it errs on the side of caution, and flags it up as possible malware. Flawless installation. Win 10 64. Huge amount of options, to convert from and to PDF. First test + 320 Mb, 2120 pages epub with LOTS of pictures and diagrams ( most B&W ). Took 8 minutes to convert to a 372 Mb PDF file, but with only 1516 pages. The only problem is it doesn't breaks the pages correctly when compared to the original - sometimes part of the picture is in one page and the rest on the next page. Using eBook Converter, output size also 372 Mb in 5 minutes, but with 2165 pages and all of them preserved as in the original. Now something simpler - pdf to jpeg . Same result as of using PDFill PDF Tools, with somewhat smaller files when using standard settings. Merge PDF's - same result as using PDFill. Some bytes bigger result. PDF Compression - reduced a pdf size by 87% with some quality loss in pictures, but not visible in text. 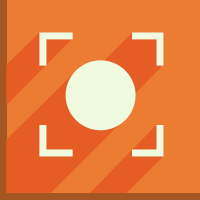 Time about 10 minutes, original size 409.358 Kb, compressed 51.331 Kb. In my opinion a keeper, BUT will not use it for ePub conversion. Flawless installation. Win 10 64. Huge amount of options, to convert from and to PDF. First test + 320 Mb, 2120 pages epub with LOTS of pictures and diagrams ( most B&W ). Took 8 minutes to convert to a 372 Mb PDF file, but with only 1516 pages. The only problem is it doesn't breaks the pages correctly when compared to the original - sometimes part of the picture is in one page and the rest on the next page. Using eBook Converter, output size also 372 Mb in 5 minutes, but with 2165 pages and all of them preserved as in the original. Now something simpler - pdf to jpeg . Same result as of using PDFill PDF Tools, with somewhat smaller files when using standard settings. Merge PDF's - same result as using PDFill. Some bytes bigger result. PDF Compression - reduced a pdf size by 87% with some quality loss in pictures, but not visible in text. Time about 10 minutes, original size 409.358 Kb, compressed 51.331 Kb. In my opinion a keeper, BUT will not use it for ePub conversion. If it can NOT EDIT, it not be called "all-in-one PDF solution", it should be called: manipulate the already existing PDF files.